I count myself pretty lucky. I think I live in one of the most beautiful places in the world. Mount Gambier. Halfway between Adelaide and Melbourne we have the all the conveniences of the city with the lifestyle of a country town! I was born here back in the 80’s and lived in the same house through out my younger years. I went to one of the local schools which my dad taught at for a few years and then continued on to one of the local high schools. I know a lot of people complain about this town. There isn’t enough to do, it’s too small people talk. This is all true it’s a small town. It’s not often that I go out and not run into anyone I don’t know. Quite often I will head out and people who I don’t know but who know me will say hi. 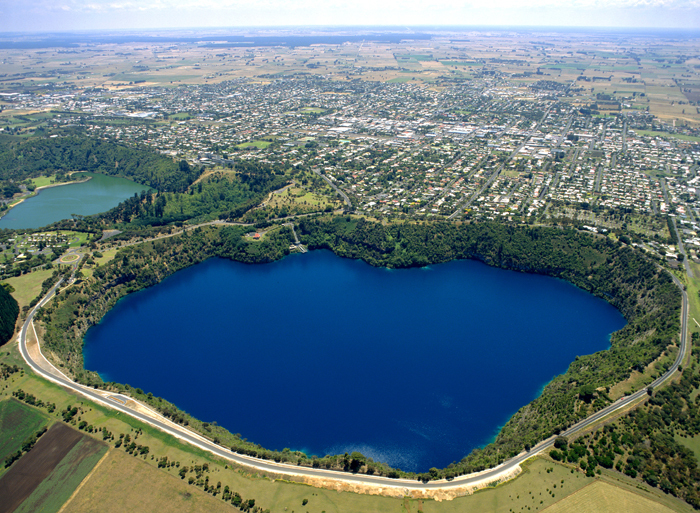 Mount Gambier is a beautiful place to raise a child. There are pleny of open area’s, large house blocks, it’s safe and we have some of the best schools in Australia. When I was 20 I moved away from home. I went and lived in Queensland for 5 years to help my Aunty out with her son. It took me a long time to adjust and I tried to visit home as much as I could. While I made a lot of good friends up there who I miss heaps I missed home. 4 and a half years after I had moved to Brisbane I fell pregnant. after a couple of months it became know that I was going to have to raise this child by myself. The first thing I did was move back home. Not only did I have family down here who I knew would help me out but I knew that I wanted to raise my son in the best place I know possible. We have now been here just over 5 years. My son is going to the kindy that I went to and later this year he will start at the same school I attended. Yes I do have a plan to move away again one day. The sort of job that I wish to do just isn’t available here. But there is no doubt that I will return one day. Every one always does.